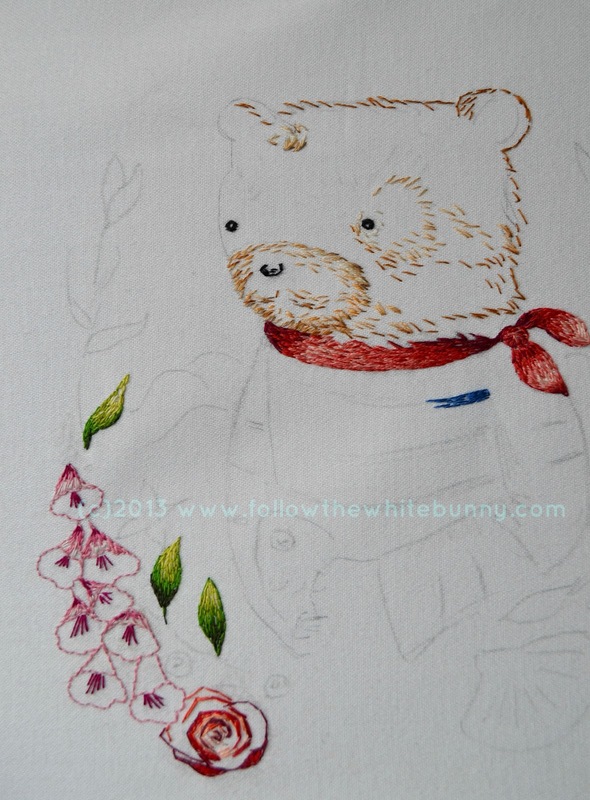 Follow the White Bunny: Hey sailor! 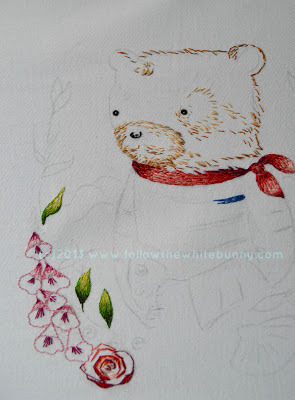 Bear would look so sweet in a sailor costume ~ love how the shading in your embroidery is turning out ~ really lovely! Thank you! As you may have noticed I'm not too subtle in the shading. I really like to add a bit of 'drama' by using darker shades fairly often!